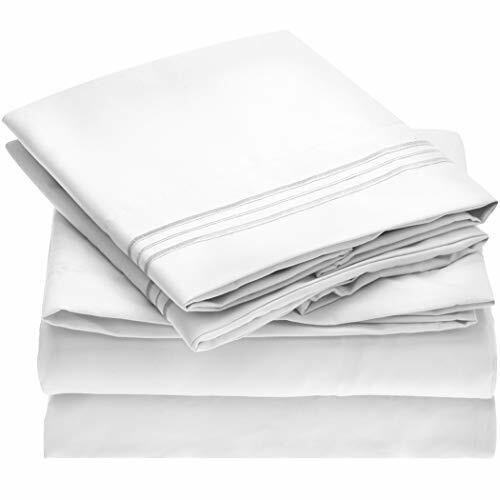 King Size Luxury 4pc Bed Sheets Set - 1 flat sheet 102"x105", 1 fitted sheet 78" x 80", 2 pillowcases 20"x40". Deep pocket fitted sheet with elastic all around (not just the corners, like other sheets). Fits mattresses up to 16"